I was just saying how I haven't received a VoxBox in so long, and this month I received 2! First it was the Pampers one, now the Adam and Eve Organics juice VoxBox. They sent a generous amount of things to try here - there were 3 juice boxes, but one of them arrive smashed and was leaking so I had to get rid of it. I believe it was razzberry apple? The other two they sent are BerryLicious Lemonade and Fruit Punch Burst. 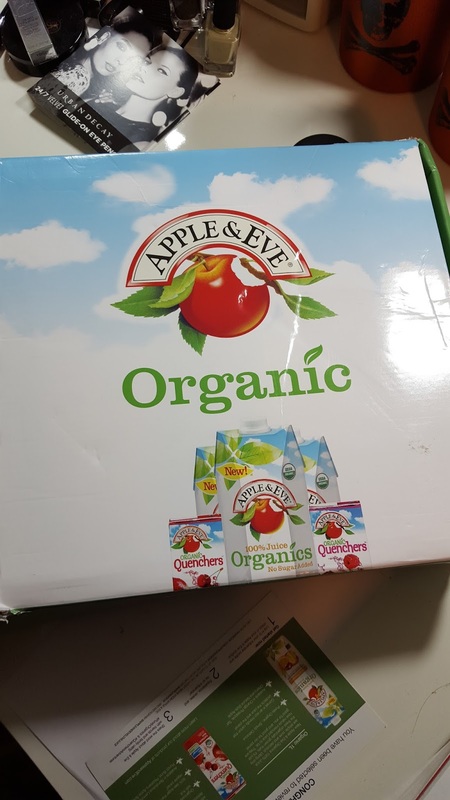 They also sent a quart of the Natural Style Apple Juice. The apple juice is delicious! My son tried the Fruit Punch and loved it - me, not so much. To me it was kind of bland and tasted like pineapple, which I am not a big fan of. But he liked it, so that is a plus! 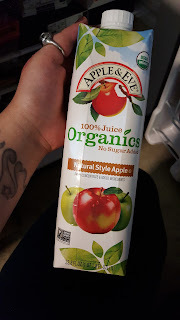 I noticed that these juices have less sugar than most others, so that is a huge plus for me. 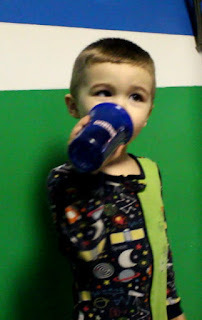 My son Aiden loves juice, but I don't always love how much sugar it contains. I only ever buy brands that make 100% juice, and even those are pretty sugary. These are not only organic, but are 100% juice and the juice boxes only have 10 grams of sugar in them. That's definitely kid friendly! They definitely get Aiden's seal of approval! *Disclaimer: This VoxBox was sent to me on behalf of Influenster. All opinions are my own.